Photo: Homes on Boston Street, Kendall Place Historic District, Muskogee, OK. 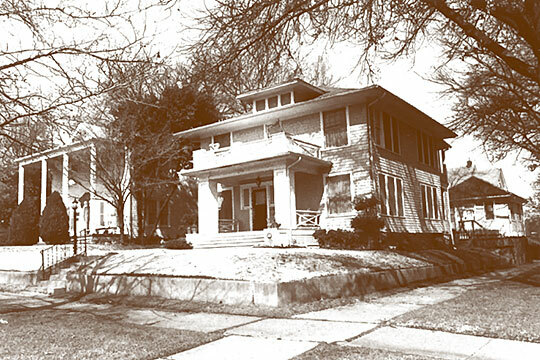 The Historic District was listed on the National Register of Historic Places in 2005. Photographed by Kristen Ottesen/Cathy Ambler, 2005, for Kendall Place Historic District, Muskogee County, OK, nomination document, 2005, NR #05001418, National Park Service, National Register of Historic Places, accessed February, 2015. The Muskogee County Courthouse is located at 200 State Street, Muskogee, OK 74401; phone: 918-682-7873. Established in 1897, the county is named for the Muscogee Native Americans, who were part of the Creek Nation. A post office had been established named Muscogee in 1872. The name was changed to Muskogee in 1900. The county seat, Muskogee City, was incorporated in 1898.